The start of the school year is a time for new beginnings and is a special time as new students transition to the university. During these years, students will come across many opportunities that will help them achieve their academic, career, and personal goals. According to Alexander Astin’s I-E-O Model (1970, 1984, 1985, 1991), a conceptual model for organizing and conducting studies of student development, there is a direct correlation between a student’s involvement in college to their success and eventual graduation. It is encouraged that students become involved in the wide variety of co-curricular opportunities that are available to them on campus. This added involvement will prove to enrich their experiences, help them attain better grades, and ultimately lead to continued success after graduation. As you embark on your educational career, take some time to think about your interests, goals, and activities and what it would be like to become involved in the University of Texas Arlington. How can students turn their interests into involvement at their university? There are many ways for students to turn interests into involvement. Click here to go to the student affairs page. Students can become involved on campus through EXCEL Campus Activities and with their community through UTA Volunteers. Students are encouraged to celebrate diversity with Multicultural Affairs’ cross-cultural programming activities and events and to empower themselves as a Maversity leader or by joining the Multicultural Mavericks. To promote a healthy lifestyle, utilize the Maverick Activity Center and the multitude of programs offered by Campus Recreation. Students can hone their leadership skills with the Leadership Academy and take charge of campus policies with campus governance and Student Congress and Constituency Councils. On a daily basis, stay connected to the university with the award-winning student newspaper, The Shorthorn. By becoming involved, you can enrich your life and gain career experience. This added involvement will prove to develop dynamic personal skills, marketable career experiences, and lifelong friendships. Numerous national and university-wide studies show that students are able to retain more academic information and obtain a more robust and ultimately successful learning experience by becoming involved. 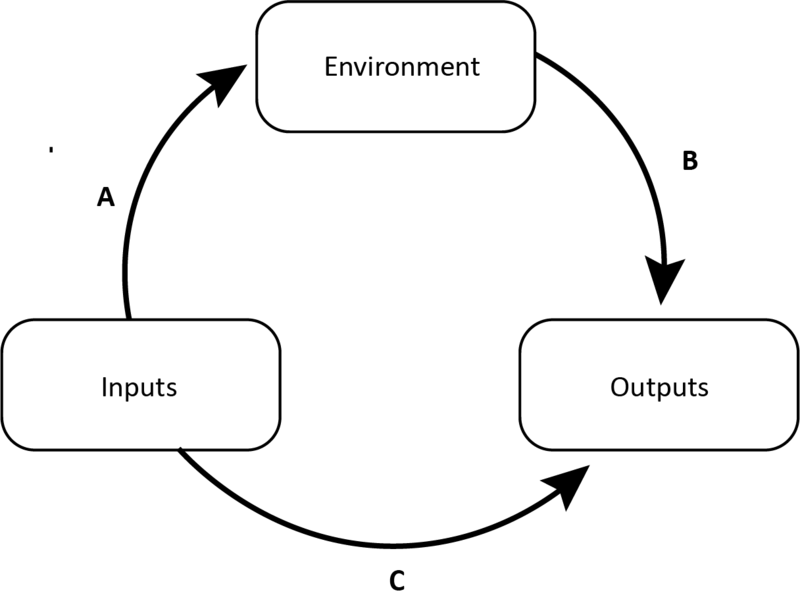 Astin’s I-E-O Model (1970, 1984, 1985, 1991) is divided up into three sections: inputs, environment, and outputs (see Figure 3-2). The inputs include the student’s personal qualities, such as educational background, life goals, and reasons for attending college. The environment refers to the actual experiences during the educational program (Astin, 1993). These include programs, teaching styles, staff, friends, roommates, co-curricular activities, and organizational affiliations. Outputs refer to the “talents” the faculty and staff are trying to develop in the educational programs (Astin, 1993). These output variables include consequences or end results, grade point averages, exam scores, degree completion, and overall course satisfaction. Astin collected data on 24,847 students at 309 different institutions and deter- mined the influences of a host of institutional characteristics on the students’ college experiences. A few of the results from his findings show that the quality of the college experience is strongly affected by student-faculty interactions. The frequency with which students talk with professors outside class, work with them on research projects, assist them in teaching, and visit their homes, correlates with student grade-point average, degree attainment, enrollment in graduate or professional school, every self-reported area of intellectual and personal growth, and satisfaction with quality of instruction (1993). Students learn more the more they are involved in both the academic and social aspects of the collegiate experience. Students who are involved devote significant energy to academics, spend time on campus, participate actively in student organizations and activities, and interact often with faculty. On the other hand, uninvolved students neglect their studies, spend little time on campus, abstain from extracurricular activities, and rarely initiate contact with faculty or other students (Astin, 1984). Astin’s model shows that the positive connection be- tween students and their peers, faculty, staff, and environment, ultimately leads to successful outputs, or end points, including final grades and their eventual graduation. Recent findings from a 2008 Student Affairs Services (SAS) assessment study completed by The University of Texas at Arlington Division of Student Affairs tell us that 47.6% of students are involved in organized co-curricular activities. Out of the students surveyed, 72.7% said that they received their greatest personal satisfaction while at UT Arlington in areas including peer group interaction, interaction with faculty/staff, co-curricular activities, leadership opportunities and development, and living on campus in a residence hall or apartment. It was also found that 34% said that Student Affairs staff had a positive influence on their personal growth, values, and attitudes. What is the best way for students to decide on an interest and become involved? The best way for students to organize themselves is to develop a plan of action. Below are a few tips for college students to consider for successfully moving for- ward toward becoming involved as they begin their college experience. Develop positive relationships with staff, faculty members, and peers. Participate in service or volunteer activities. 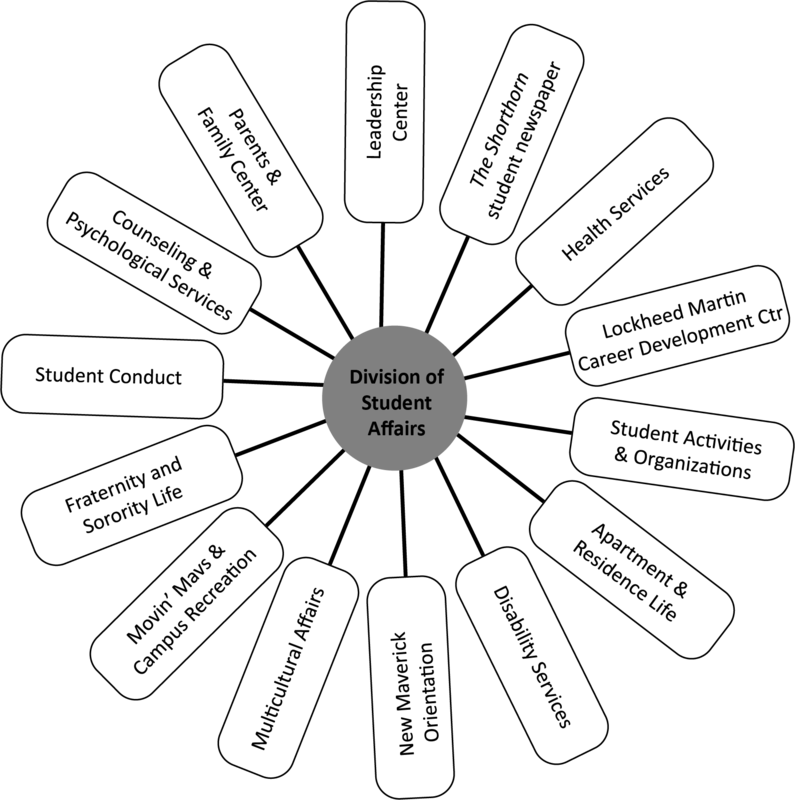 Utilize campus services, some of which include orientation, legal services, advising, disability services, tutoring, and counseling. Get socially integrated through active involvement and engagement in on-campus activities including speakers, social events, recreation, and leadership activities. UT Arlington encourages student involvement. The general skills that students attain in clubs and organizations will allow them to succeed both in and out of college. The next section will discuss the opportunities to develop utility and enhance leadership abilities. These experiences will also help you to reach your full potential and influence our campus community. What leadership opportunities are available on campus for students through Student Affairs? What are three benefits of becoming involved on campus?